This B5 System's Type 23 P-Grip offers a drop in upgrade for the standard AR15 pistol grip. 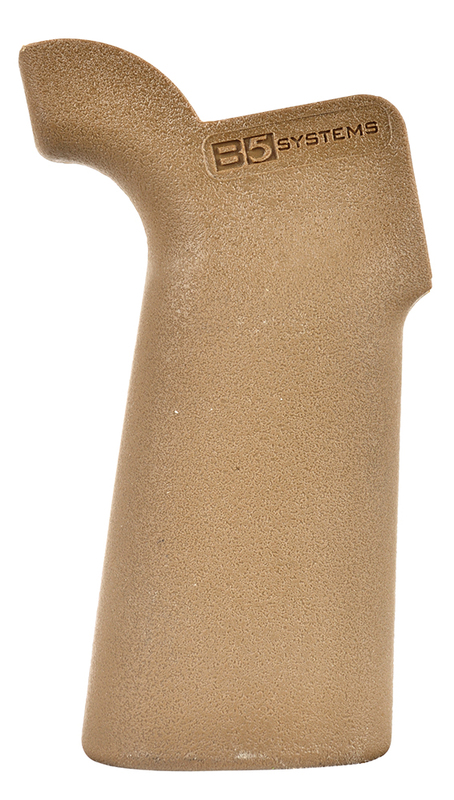 The increased vertical grip angle and extended tang provides improved ergonomics and proper trigger index. It is constructed of durable composite materials.